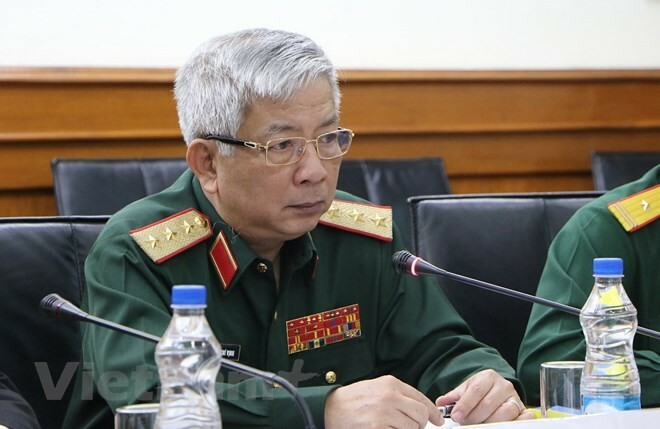 (VOVWORLD) - The 11th Vietnam-India defence policy dialogue, which took place in New Delhi, India on Wednesday, demonstrated India’s high political trust and wish to enhance defence ties with Vietnam, said Vietnamese Deputy Defence Minister Sen. Lieut. Gen. Nguyen Chi Vinh. The official, who co-chaired the dialogue, told the Vietnam News Agency that he is pleased with results of the event, which, he said, is to concretise commitments made by high-ranking leaders of the two countries. According to the deputy minister, Vietnam and India have agreed to organise high-level visits and delegation exchanges, and cooperate in training, defence industry and high-technology, in addition to cooperation between armed services. The two sides will step up the exchange of strategic viewpoints and defence policies, as well as collaboration in training and other spheres such as peace-keeping operations, maritime security and defence science-technology, among others.